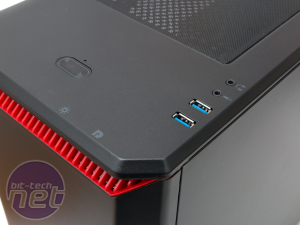 It says a lot when system builders are confident enough to start dishing out ready-made PCs using a new platform and while we've already seen a Ryzen-based system, we haven't seen one with an overclock or some decent memory. Overclockers UK has been planning its debut with AMD's new CPUs for a while, and its effort is finally here in the form of the Titan Katana Ryzen. 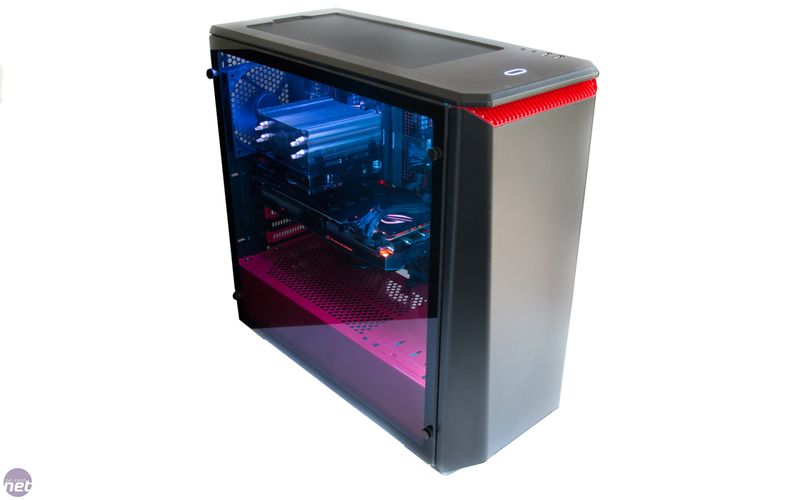 This system is fully configurable with a raft of options available, but our £1,700 system comes equipped with a Ryzen 7 1700 which has been overclocked to 3.8GHz for some added grunt. 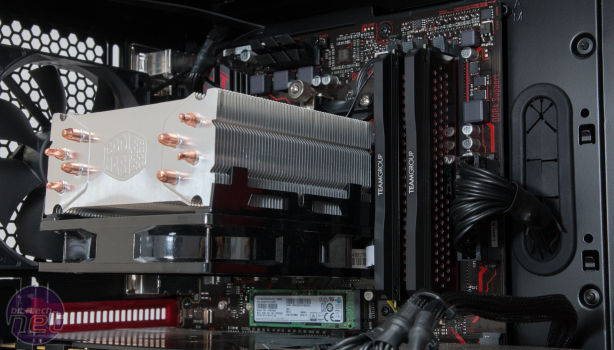 Perhaps even more importantly, the memory, courtesy of a 16GB Team Group Dark Pro DDR4 kit, sits at 3,200MHz, which is no doubt courtesy of the latest AGESA microcode released from AMD that enhances memory compatibility, so kudos to Overclockers UK for being aware of this. In any event, it should boost performance significantly in many tests compared to the lowly 2,133MHz RAM in the PC Specialist Magma Zen machine we looked at in March. Our system came with an Asus GeForce GTX 1080 Strix DirectCU II, which features a factory-overclocked core speed of 1,671MHz and a memory speed of 1,251MHz (10Gbps effective), but the core speed can be bumped up easily to 1,695MHz if you use Asus GPU Tweak, which can apply an OC mode to the card without messing with dials or voltages. In any event, potential customers will need to be considering the upper echelons of gaming resolutions here. 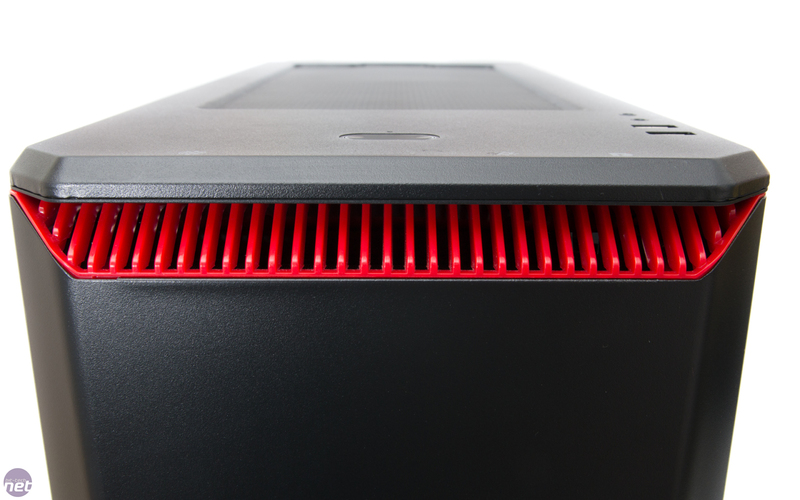 The triple fan beast is supremely quiet and silent at low loads when its fans spin down. 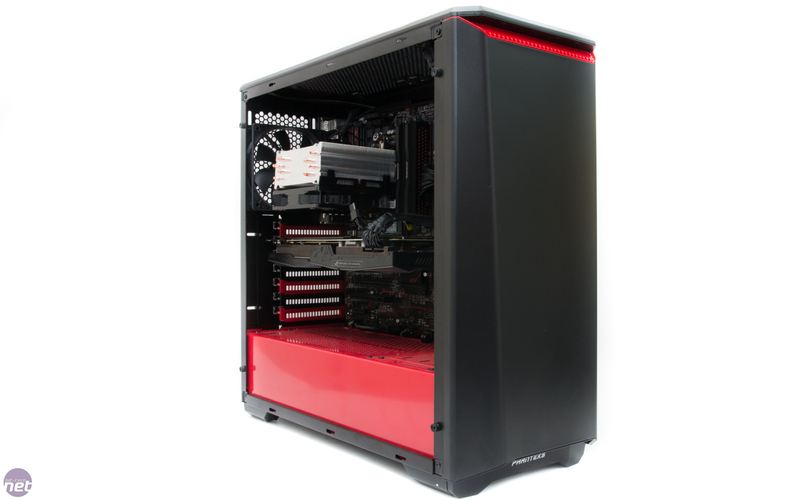 There are a number of other GTX 1080s as well as other Nvidia and AMD options in Overclockers UK's configurator. 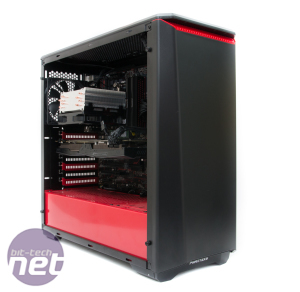 Those up to speed with the latest cases will no doubt recognise the choice of case - Phanteks' P400S Glass, which adds some tempered glass to an already solid and fairly good-looking chassis that's kitted out with two fans. 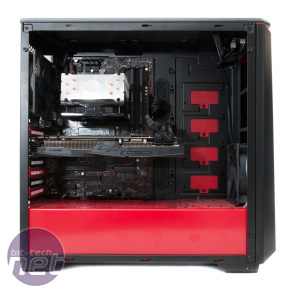 Overclockers UK has opted for a Cooler Master Hyper 212 Evo to cool the overclocked CPU, and this has been mounted in vertical mode due to the fact it uses the standard AM4 socket mount. 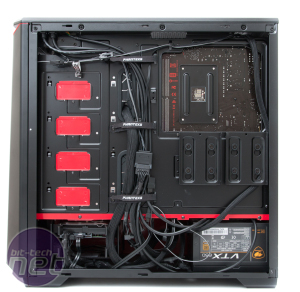 Had we built the system ourselves, we'd have put the rear fan in the roof to aid cooling the CPU, but sadly the second case fan is mounted in the rear fan slot as usual. We'd maybe also have liked to have seen something more potent for our £1,700 given the fact there's an overclocked, eight-core CPU underneath. Another odd choice is the fact that both case fans are wired up to the 12V supply on the PSU and not to the motherboard's fan headers. This means they add noise - somewhat needlessly given how good Asus' fan control in the EFI is. The rest of the system is very quiet, so this is a bit of a shame. We can't complain about many other areas, though, as there are some solid choices for storage that include a Samsung SM961 256GB M.2 SSD, which is essentially the OEM version of the 960 Evo with similarly epic read and write speeds. 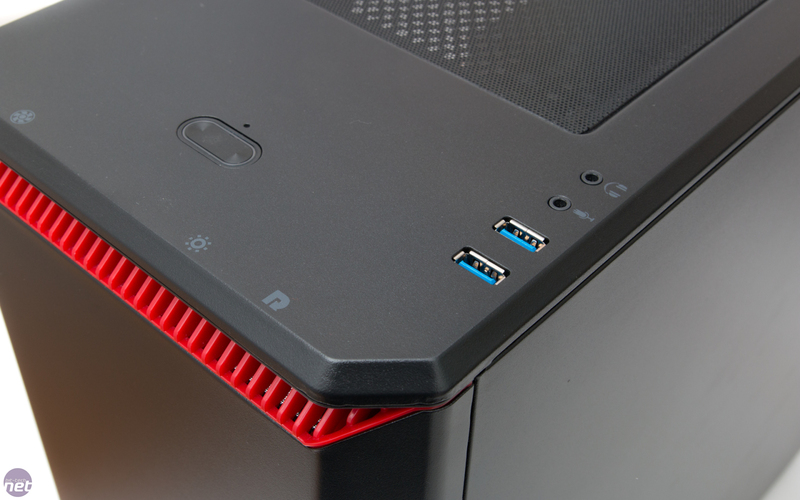 You also get a 2TB Seagate BarraCuda hard disk, and this pairing is pretty much perfect in our eyes for a £1,700 system. However, there are larger capacity drives as well as 2.5" SSDs available too should you wish for more flash storage in a trade-off for speed. The interior is extremely clean and tidy with a good job done on cable tidying. 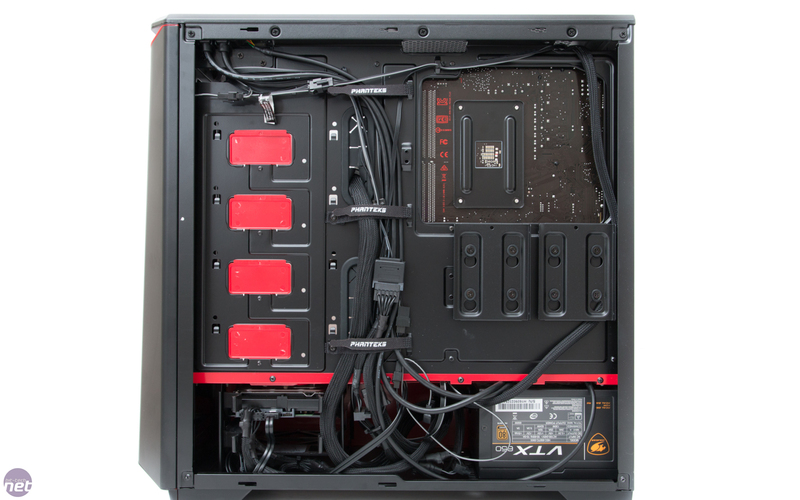 There's also a lot of room for expansion in the case, with the roof free for an all-in-one liquid cooler plus several vacant 2.5" mounts too should you wish to add more storage. 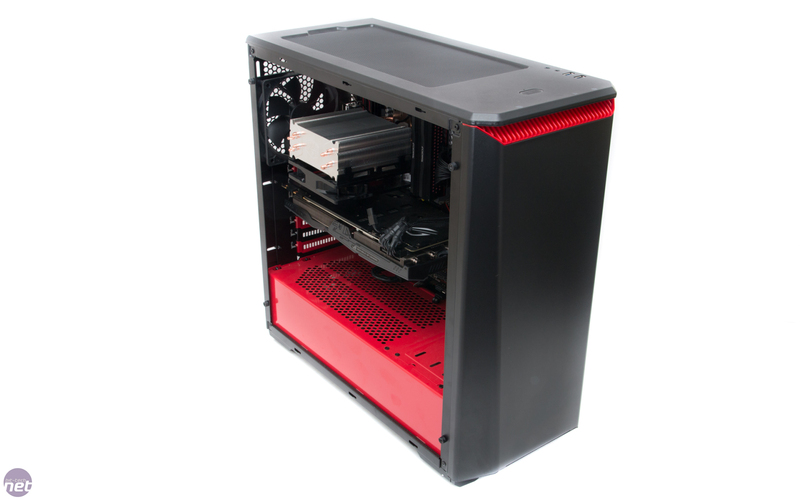 The front of the case sports enough room for several more fans meaning that custom liquid cooling is an option too. 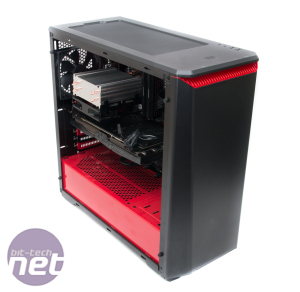 We're also sold on the red and black colour scheme, and the glossy finish to the PSU cover really does liven the insides up to improve the view through the tempered glass side panel. 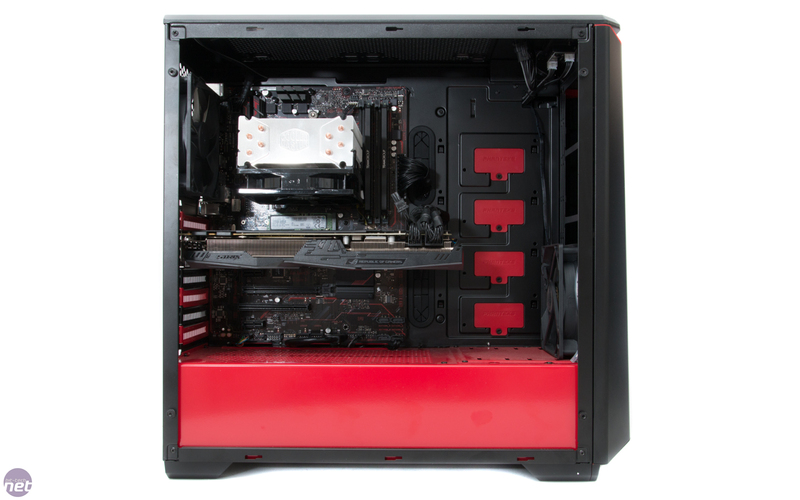 Overclockers UK has opted for an Asus Prime B350-Plus motherboard to sit at the heart of the PC. It's an interesting choice, as AM4 motherboards sport three chipsets that can overclock Ryzen CPUs, with B350 being a slightly more cut-down version of X370. 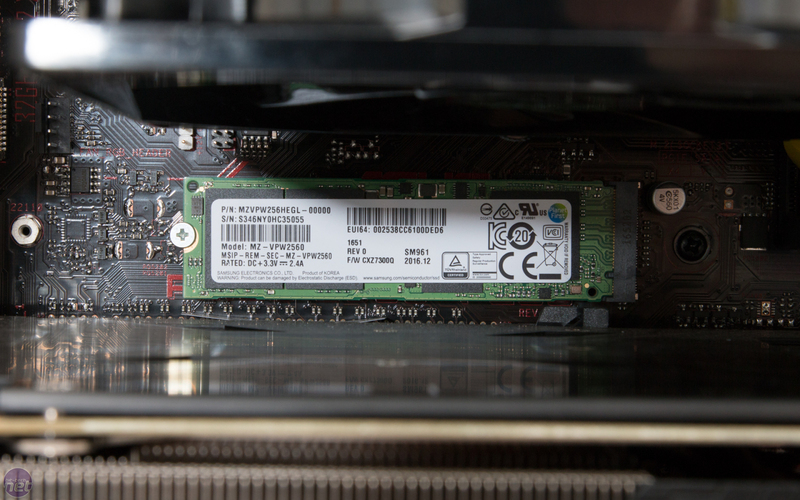 It clearly does everything you need it to despite its £90 price tag, including providing a home for the SM961 M.2 SSD. However, you'll only get ALC887 audio, which is inferior to the ALC1220 audio codec included with more expensive boards. If this is an issue, there are plenty of PCI-E slots free, and Overclockers UK offers an Asus Xonar DGX 5.1 sound card for an extra £30. You also get a 650W Cougar VTX PSU, which has enough grunt to deal with adding a number of upgrades, although the motherboard lacks SLI support, so you won't be able to add another GTX 1080 at a later date. 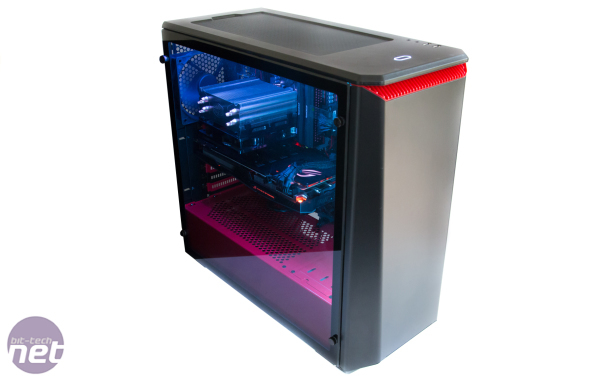 Overclockers UK offers a comprehensive three-year collect and return warranty, and the system of course comes with Windows 10 pre-installed.